Don’t strip your hair. One of the worst mistakes that people make is shampooing their hair with an alkaline based shampoo. Our hair is best when the ph balance is 4.5-5.5. 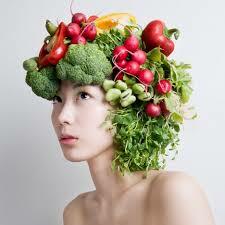 This is called the natural ph mantel for our skin and hair. Ask a professional for a recommendation and remember you can mix and match categories if your hair has multiple needs. During the summer, when hair is dry, use products from the Moisture category and add weekly deep conditioning treatments to your Take Home routine. If your hair lacks volume or feels too oily in between, refresh the root area with Paul Mitchell Dry Wash- Waterless Shampoo. Treat your hair like the fine fabric that it is! Let it air-dry. Using multiple heat styling tools on a regular basis can zap moisture from hair and leave your ends feeling dry and broken. There is no need to dry your hair with a blow dryer and then use a curling iron or straightening iron right afterwards unless you are going for a super structured look. Spritz your hair with Forever Blonde Dramatic Repair, Lite Detangler or Super Strong Liquid Treatment, leave in overnight and style your hair in the morning. Take supplements. Nutrition plays a big part in healthy hair so it is important that you are keeping a healthy diet and are drinking plenty of water. 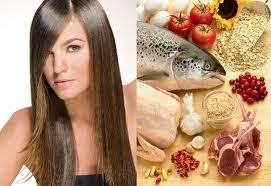 You can also consider incorporating a supplement like biotin into your daily routine to keep hair healthy. Baby your hair. 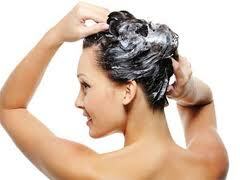 Try not to use more than one chemical process on your hair. 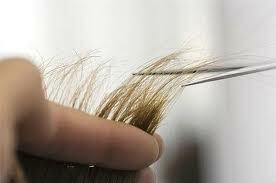 You shouldn’t be using a relaxer and permanent color on top of each other as this can create even more damage. Demi permanent color like PM Shines from Paul Mitchell adds protein and hydration and is an excellent choice to repair and strengthen the cuticle after a relaxing service. After any chemical service you should begin using a deep conditioner once a week to give your hair the extra hydration it needs. 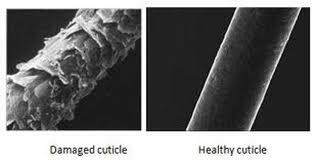 Super Skinny before a blowout shrinks the cuticle layer and decreases drying time. Gloss Drops add instant shine and smooth any remaining dry ends once hair is dry. Get regular trims. You don’t have to chop off several inches of your hair to get rid of split ends, but you should be getting regular trims to keep your hair in a healthier condition and to avoid breakage. Explain to your stylist that you don’t want your hair shorter and that you simply want a little taken off the bottom. Visit every 6-8 weeks, re-book before leaving and purchase your Take Home products before you run out. Don’t get discouraged. 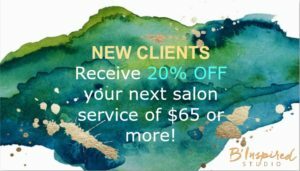 Getting hair in great shape can be difficult at first, but once you figure out what you need to do to keep your hair healthy it will be much easier to keep your hair in great shape. These tips will help get you started on the road to smoother, shiny, damage-free hair in no time. 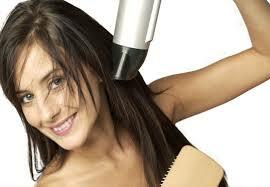 To ensure the quality of the products you buy and combat product diversion only buy products from a licensed hair salon. Paul Mitchell products are award winning products used by professionals. They are made with quality ingredients and sold at an affordable price!